We are one of the leading manufacturers, suppliers and exporters of Frozen Vegetables, which are procured from the reliable cultivators. The product is very hygienically packed and is delivered to the customers within the specified time frame. No artificial colors and preservatives are added. They can be used in hotels, restaurants and in homes for preparation of different dishes. They are widely acknowledged for their high quality and reasonable rates. 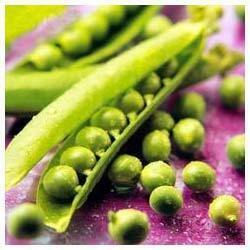 They are processed in a manner to preserve its nutritional value and green color. 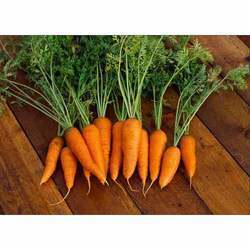 We are into supplying and exporting of Frozen Carrots in various quantities to satisfy the diverse requirements of of our customers. We select the cultivators after careful research and study to ensure that high quality is delivered to the customers. The product is very hygienically packed to ensure that the nutritional value of frozen carrots is not compromised. They are provided to our customer's at very reasonable rate and within the specified time frame. We offer very high quality hygienically packed Frozen Green Peas, which are hygienically packed and is delivered to the customers within the specified time frame. They are very healthy and have natural taste. No artificial colors and preservatives are added to the product. The product is tested on well-defined parameters of quality before being delivered to the customers. They are available at very reasonable rates and are used in hotels, homes, restaurants and many such places for preparation of delicious food.